Do you need to visit multiple addresses? Do you want the stops in the mostefficient route? In that case is IBI also a solution for you. The IBI app is compatible with most smartphones on Android and IOS. 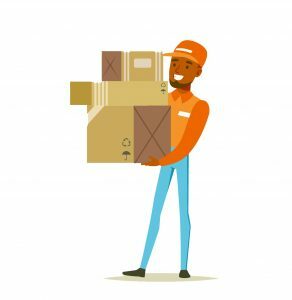 Whatever business you own (pharmacy, plumber, delivery service), IBI will guide you when you need to deliver or visit multiple addresses. There are three versions available: IBI Free, IBI Start and IBI Go. With IBI Start you enter adresses by speech recognition, typing or by scan with the camera. IBI sorts the addresses in the optimal route and you can navigate to the addresses with your smartphoen built-in navigation app. For instance IBI is compatible with Here Go, Bing Maps, Google Maps or Apple Maps (*). IBI Go, uses the “Send – Plan – Go – Confirm” principle. The functionality is the same as IBI Start, but additionally, you can send a list of addresses, remarks and phone numbers by email to IBI Go, saving time and making it more connected to your backoffice.